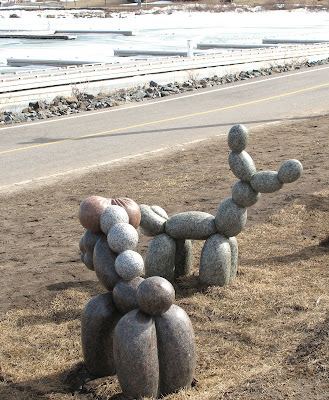 Balloon Animals made of granite. I almost feel like I don't need to say anything else. A series of animals all made to look like classic balloon animals - dogs, swans, horses and the like - are part of a public art installation on the Thunder Bay Waterfront. And how cool is it that kids were part of the decision making process on picking the final installation? The installation is called Naturally Inflated and is by Paul Slipper and Nadine Stefan. I could have stared at these things for hours (except for the creepy guy that launched into a tirade about the waterfront development and kept getting too close). But I can't get them out of my head. Best public sculptures ever. These are wonderful, thanks for posting this. oh man...you just got me on a very giddy afternoon. I have many great titles for these sculptures, all of which I cannot publicly say. These are amazing, nice to see something you can relate to. Wow! What great fun! Thanks for sharing. 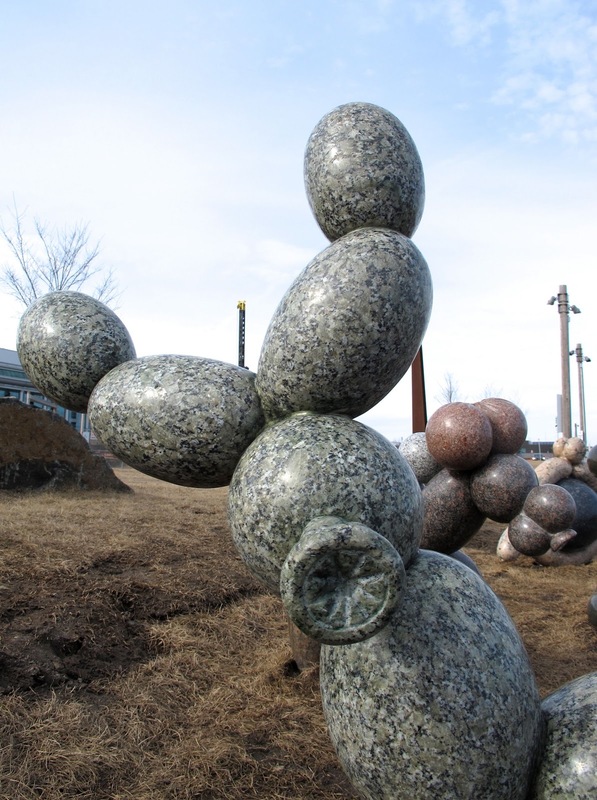 This is an amazing blog about granite..i think this is the only blog having all types of granites in the world. thanks for sharing …keep on posting new articles…all the best..